When shopping for the Best Wood Router it’s always a good idea to compare your options andd educate yourself on what features are worth paying for and which wood routers have a reputation for quality and dependability. Well, we review and discuss several of the top rated wood routers available. We hope you find this buying guide useful. What makes for the best wood router? Not an easy question to answer, unless one knows exactly what you’re going to use it for. Ideally, you’d want a selection of routers, each one perfect for the job at hand. But not many of us can afford to have several wood routers. So we want the best multi-purpose router. While these may not be the ultimate tool for some jobs, they will allow us to perform just about all the tasks that we want to when using a wood router. You may be wondering whether a fixed base or plunge router is best. If you’re new to these tools, the second part of this article is going to be extremely valuable. Before we get all of that, I’m going to be reviewing a fantastic range of routers – the DeWalt DWP611PK is ironically the cheapest in this review, usually, DeWalt tools are the more expensive option and the Triton TRA001, which many consider to be the ultimate wood router in this class. We’ll also be reviewing the Bosch 1617EVSPK, a router that has earned an astonishingly great reputation and we’ll finish off with the Makita RP2301FC, another truly great wood router. After reviewing our choice of the best wood routers, I’ll move onto more topics that should help you make the best decision when buying a router. This will be of particular value for newbies to woodworking tools, but may also useful for seasoned woodworkers. Even an old dog can learn new tricks. The prices vary quite a bit, so it’s a good idea to read more about these routers before deciding which one is going to be the best one for you. As always, I’ll try my best to give you all the relevant information. What’s the good and what’s not so good? The idea is to enable you to make a decision with confidence – knowing that you’re buying the best wood router, a tool that’s going to completely meet your needs. I know that not everyone has the same expectations and we don’t all use a router for the same purposes, so I’ll try, wherever possible, to point out the differences and distinguish which router may be the best for a particular job. Though, I would say that all of these routers are great all-round machines. Best wood router for your small home woodworking projects. 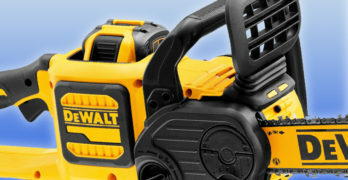 DeWalt never disappoints and this wood router is no exception. ✓ View or download the MANUAL for the DEWALT DWP611PK. Compared to the other wood routers in this review, the DeWalt DWP611PK is remarkably cheap. As any tool connoisseur will know, DeWalt is not a cheap brand. So if you’re wondering why this one is cheaper than the others, the answer isn’t hard to find. Firstly, all the routers in this review are from the better brands – so none of them are particularly cheap. The DeWalt DW611PK is a smaller compact router and is, therefore, less powerful than the others, this is the main reason for the price difference. Though for some, a smaller, lighter router can be beneficial. If you’re going to be making deep cuts into hardwood, using a large router bit, this one is probably not going to be your best bet. We’ll be reviewing more powerful options if that’s what you’re after. There are a lot of woodworkers that probably don’t need all the extra power or depth and for these guys, the DeWalt is a perfect choice. Not only is it cheaper, it’s also easier to handle than the larger routers. Then there’s the all-important fact that this is a DeWalt tool. So it’s guaranteed to work perfectly and accurately for many years without any hassles. Being a DeWalt wood router, it also has so many clever features that will make your life that much easier. Amongst the many amazing features that make the DeWalt DW611PK an extremely versatile router is the fact that it’s a combination router. This means it can be used as a fixed base or plunge router. So you have the option of a multi-functional plunge router or the precision of a fixed base router. Later in the article, I’ll look at the plunge base vs fixed base router debate for those who want to know more about this. Making the change from the fixed base to a plunge base is a simple and quick process. Another aspect to the DeWalt router that I really like is the clear fixed base and powerful LED lights. You’re able to see clearly what you’re doing at all times and this makes detailed router work so much easier and more accurate. The fixed base has an adjustment ring that makes it really simple to control bit depth changes to within a staggering ¹⁄₆₄”, the maximum bit depth for the fixed base is 1.5”. The fixed base is also large enough (4”) to give you greater control, thanks to the increased surface area contact. This is quite important on a compact router because the base area can be really small and increasing the base size improves the accuracy with which you’re able to work. Removing the fixed base is simplified by the use of spring-loaded release tabs. I’m sure that most woodworkers would be using the DeWalt DW611PK IF mostly as a plunge base router and, here too there are many advantages to this router. In the plunge base setup, you have 2” of depth travel for the bit, which is great for a router of this size. The large, ergonomically formed rubber handles give you a comfortable grip and excellent control over the router. Depth adjustments are precise and accurate, using a sturdy adjustment rod with depth markings to aid you. The plunge base is also large (4³⁄₈” X 5¾”) and gives you great stability, it glides effortlessly over any wooden surface because it has a perfectly smooth finish. The sub-base can accommodate universal template glides. Spring-loaded release tabs allow for quick base removal. All the general operations of this wood router are exceptional. It has a 1.25 HP soft start motor, which is not as powerful as some, but for a router of this size, it’s great. This allows an adjustable speed of between 16,000 and 27,000 RPM with no load and the motor uses electronic feedback to maintain a constant speed as you cut. This allows you to make really clean cuts without tear out. It a has 12 position spindle lock which has a large, low-pressure lock button, making bit changes a pleasure using a single wrench. The ¼” collet has 8 slots, providing a really tight grip on the bit shank – there’s no chance of the bit slipping. This is a DeWalt tool, so it goes without saying that it’s manufactured from the best materials. The motor housing and plunge base are aluminum and so is the depth adjustment rod which is perfectly machined. The use of durable lightweight materials makes this a very light and easy tool to use, as a fixed base router it weighs only 4.6 LBS and with the plunge base attached, it isn’t much heavier, 6.2 LBS. If a compact router is what you’re looking for, the DeWalt DWP611PK would be my ultimate recommendation. It has been designed for superior accuracy and perfect ease of operation. Above all, it’s made by DeWalt which is, to my mind, one of the premier manufacturers of woodworking tools – actually, power tools in general. They provide fantastic technical support and a warranty to match – a 3-year limited warranty, 90-day money back guarantee and a 1-year free service plan. Dual Mode Precision Plunge Router (3¼ hp). Truly, the best wood router for woodworkers. Precise, powerful & engineered to perfection. A woodworkers dream router. ✓ View or download the MANUAL for the Triton TRA001. In the introduction, I said that many would consider the Triton TRA001 to be the ultimate wood router. Certainly, in this review of the best wood routers, it is the best of the best. There are many reasons why I say this. It’s large, incredibly powerful and has the easiest fixed and plunge base operation you could hope for – there’s no need to change bases. 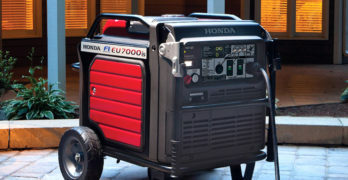 So let’s start with the power – 3.25 HP (2400W). Immediately, we can see why this router is more expensive than the little DeWalt compact router, it has more than twice as much power. This gives you a soft start variable speed of 8,000 – 21,000 RPM and it will maintain this speed electronically under immense load. You won’t be restricted by the depth of cut or bit size, even with seriously hardwood. It has a really good depth range of 0-68 MM, that’s a maximum depth of 2.68”. It converts to a fixed base router by means of a simple switch. At first, this may not seem all that impressive. After all, any decent plunge router should have a locking mechanism for the plunge base. It’s the precise rack and pinion height adjustment for the fixed base operating mode that gives this router the perfect accuracy that you want from a conventional fixed base router. It really does give you the best of both, without any hassle. Depth adjustments are simple and incredibly precise, a micro winder enables you to make fine adjustments through the entire plunge depth range. This is continuous, so you can adjust your plunge depth within the smallest fraction of an inch. It also has a 3-stage turret with direct scale readings, allowing you to pre-set your cutting depths with absolute precision. This router is also designed to take care of every issue when used as a table router. This includes a rack and pinion height adjustment and table winder, you can make adjustments from the top of the table instead bending underneath. The plunge spring is easy to remove which makes bit adjustments much easier when used in the table position. To allow better airflow for cooling the motor when in the inverted position (under a router table), the air vents are on the side of the machine and not the top, like most others. This is a simple design change, but highly effective and shows the level of thought that’s gone into this tool. There are a lot of other practical considerations that have gone into making this router more versatile, as well as easier to use and maintain. Not to mention safer. The collet is larger than many at ½” (12 MM), allowing you to use a greater variety of bits. It has a very clever spindle lock that engages automatically when you close the power switch cover. This means a single wrench is all you need for bit changes and there’s no need to hold down a locking button when you do this. By engaging the spindle lock only when the switch is covered, you have the added safety benefit in that it’s impossible to accidentally switch the router on whilst changing bits. Yet another display of simple genius. The fully enclosed guard not only offers great protection, it allows for highly effective dust extraction. Along with this, it has a dust collection port, which few of the other routers do. To add to the easy maintenance of this tool, the brushes have easy access for quick DIY brush changes. Three-stage turret with direct reading scales. You get a multi-function fence as part of the Triton TRA001 kit. This gives you perfect control over the router when using it as a handheld machine and for cutting circles. The router has quick-fit pins that make it quick and easy to use it both with the fence that comes with it and the RTA 300 router table which is available as an optional extra. There is a whole list of other extras that you can get for Triton to turn this router into the most versatile woodworking tool in your shop. There is absolutely no doubt in my mind that the Triton TRA001 is about as close to perfection as one would hope to get in a power tool. It’s a great multi-function router with accessories that make the possibilities for its use almost endless. It’s covered by a 1-year repair or replace guarantee. Not as impressive as that provided by DeWalt or many others, but I really can’t see this router giving any issues. It’s made to last and if there are any latent defects, they will become apparent in the first year of use, so this warranty seems perfectly fine to me. Soft starting and micro-fine depth adjustments. Tough aluminum base and housing. Many woodworkers swear by the Bosch 1617EVSPK wood router and it’s easy to see why. It costs a bit more than the compact DeWalt DWP611PK but is closer, by comparison, to the Triton TRA001 which is considerably more expensive. Okay, it’s not as powerful as the Triton and isn’t quite as versatile or feature packed. But it is a large router, more powerful than most, and serves both as a plunge base and fixed base router. When it comes down to it, you’re getting a lot of router for your money and it’s of a high quality standard. I doubt anyone will be able to find better value for money. While the Bosh may not have all the power of the mighty Triton (few do), it’s not a sluggish machine, and 2¼ HP is nothing to scoff at. The 12A motor revs the bit up to 25,000 RPM and has variable speed control starting from 8,000 RPM. The Constant Response stabilized torque start up is a very convoluted way of saying that this router has soft starting. It’s going to give you smooth power control with enough horses to cut through most hardwoods at a good depth even when using a wide bit. The Bosch is supplied with both a ¼” and ½” collet, so you can use any type of bit with the router. It has a decent plunge depth of 2¼”, with the bit passing through a 2” sub-opening. It has a separate fixed base attachment with handles that provide an excellent gripping position. As one would expect, you’re not going to have quite the same bit depth settings when using the fixed base, though this is still fairly reasonable at 1⁵⁄₈”. The fixed base has threaded holes in the common three-hole position for table mounting. The plunge base has really beautiful hardwood handles and these give you excellent control over the router and a comfortable, secure grip. It has an easy to use depth setting rods on both the fixed and plunge bases. Both have scale markings so you can work really accurately and the plunge depth setting uses a micro-fine twist knob for greater control. The bases are precision engineered from aluminum and the motor has a durable plastic upper housing with aluminum at the bottom, this gives the Bosch a very manageable 10-pound weight tag. It also comes with a tough carrying case, which is a nice little extra and keeps all your bits and pieces from getting lost. While the Bosch 1617EVSPK doesn’t quite match up to the Triton TRA001, it’s not far behind and costs a lot less. If you’re not wanting to spend all that much but still want great quality and working capabilities, the Bosch is a truly fine machine and won’t break the bank. Bosch tools are solid and they last. It comes with a 1-year warranty, 30-day money back guarantee and a 1-year service protection plan. Professional quality : Variable speed, electronic speed control & an electric brake. Makita is another one of those brands that I’m always willing to pay extra for. Their tools can take some serious punishment and keep working perfectly. The Makita RP2301FC is no exception to the rule. In many ways, the Makita wood router is superior to the Triton TRA001, which also, undoubtedly a fantastic wood router. While there are those who may disagree, this would be my first choice for a plunge router – it’s magnificent. The Makita RP2301FC has all the power that you could possibly want – 3.25 HP which is the same as the Triton that we reviewed earlier. It has soft start and fine control over the speed – ranging from 9,000 – 22,000 RPM. It has electronic power management to keep the speed constant under any working conditions. My experience of Makita electronics is that they are usually the best. It also has an electric brake, like most Makita power tools, another thing I really like because you don’t have to wait for the bit to stop spinning before you put the router down. The speed control trigger has a locking mechanism so you can relax your fingers and maintain a perfect grip when making cuts at a continuous speed. The micro adjustment for the depth pre-set is as easy to use as any of the best wood routers and incredibly accurate. To make your life easier it has depth stops with a quick release mechanism. You can adjust your cutting depth from 0 – 2¾” with total ease and perfect accuracy and the depth scale on the side is easy to follow. The only thing this wood router doesn’t have is a fixed base, but the plunge depth setting is among the most accurate that you can get – so you’re not really losing out. It has the versatility of both a ¼” and ½” collet for basically any size bit. Bit changes are easy to accomplish and, as would be expected from any modern high-end router, the shank has a lock for single wrench operation. The top of the router is also flat, so it doesn’t wobble around when you’re loosening or tightening the bits. The tool-free template guide system is another simple, yet very effective time-saving feature – absolutely brilliant. Working with the Makita RP2301FC wood router is a dream. It has a smooth large base that glides over any surface. The plunge action is perfect too and it has bright LED lights to help you see what you’re doing. All your controls are exactly where you want them and very easy to use. I don’t think even the harshest of critics will find fault with this plunge base router – it’s as close to perfection as one could hope for. Built-in fan with labyrinth construction to minimize dust. When it comes to durability, the Makita RP2301FC can easily be considered the king of wood routers. This is something I’ve come to respect about the Makita brand. Both in the materials used and the design of their tools, Makita make every effort to make their tools indestructible. I’ve dropped many a Makita from a rooftop and they have never failed me. So naturally, this wood router has it all. Oversized linear ball bearings give this machine the ability to work smoothly for a very long time. Something that’s common on many Makita tools (if not all) is the labyrinth design of the air intake to the cooling fan. This prevents dust from entering the machine and really helps to prolong its life. From the perfectly shaped handles to the aluminum base and plunge shafts, the Makita displays an incredible level of engineering brilliance. Even the chip deflector is perfectly positioned to offer maximum protection without hindering your sightline in any way. As with any Makita power tool, I would recommend the RP2301FC wood router without any hesitation. It’s expensive, even more so than any of the great routers in this review, but I think it’s worth every penny. Makita provide fantastic after sales service and this wood router comes with a 1-year warranty as well as a 30-day return or replacement guarantee. This section of the article is going to provide a buyer’s guide to help you find the perfect wood router. There are some aspects of these tools that are vitally important and others that can be a nice advantage to have. We’ll start with the most important things to look for and then move on to the less critical features. As with any power tool, the word power is the operative word. This determines how much you can you can achieve with the tool. 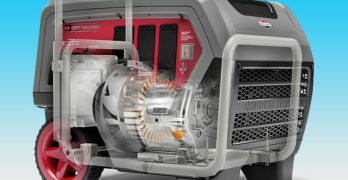 In terms of electric motors, there are two categories of power. A compact wood router is not designed to cut as deep and you won’t be using bits as large as you would with a full-size wood router. This means that they won’t have motors that are as large, between 1 and 1½ HP is what you can expect from these machines. 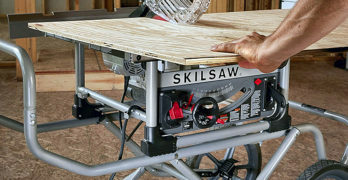 With larger wood routers, you’ll be looking at double this or more – generally 2¼ to3 HP. Though the actual power of the electric motor is only part of the story. How the power is delivered can be more important. Most will have soft starting which is nice to have, but speed control is more important than this. Being able to control the RPM of a wood router is very important, you’ll want to work at different speeds for the various conditions that you’ll be using a wood router for. The actual RPM of the bit can be anything from around 8,000 RPM up to 25,000 RPM. Whatever the actual REV range of your wood router is, you want accurate control over this speed. Something that’s very important in maintaining the bit speed is electronic speed control. As you cut through wood, the density changes. If you cut through a knot, as an extreme example, the wood will be much harder and will require more power. The best wood routers manage the power by means of electronic torque control. This means that when the wood becomes denser, the motor will increase its power in order to maintain a constant speed – your bit rotation will run at the same RPM as you work. This reduces tear out and burning of the wood. To work accurately and efficiently with a wood router, you need smooth and easy to use controls. A smooth plunging action with really good plunge rails is important. The base of the router will also affect how easily it moves across the wooden surface. Many modern wood routers have a durable plastic coating on the base that allows them to move more smoothly. If a router has a metal base, it should be waxed regularly to help it glide across the surface you’re working on. Setting your depth accurately and easily is just as important. A good depth stop with fine adjustments and a depth gauge is something to look at carefully when choosing the best wood router. A good collet that holds the bit firmly will also ensure that there’s no movement on the bit that can distort the cut. You also want big handles that provide a firm grip on the router. You’re going to be making all sorts of turns as you work and you want to be able to handle the machine easily. A common question that I regularly get regarding wood routers is whether a plunge base router is better than a fixed base router and what’s the difference between them. Plunge base routers are the most common. They have a spring-loaded action that allows you to push down on the router onto a flat piece. With a fixed base router, the bit protrudes through the base and you’re only able to work along the edge of a piece. Though a plunge router can be locked into position and this works in the same way as a fixed base router. So, why do you even want a fixed base router, if a plunge base can do the same job? While a plunge base router can be used with the bit set at a fixed depth, you’ll never be able to set the depth as accurately as you can with a fixed base wood router. This is important when making really accurate cuts, like Tenon joints. Having covered the important stuff, here are some nice extras to have on a wood router if possible. Lights that illuminate the router base are great, they help you work accurately with less stress. Dust collection ports are not common on a router, but they do help when it comes to cleaning up. A fence rail assists in making straight cuts. You can use any straight edge clamped to the workpiece, but a well-designed fence will be quicker to set up and use with perfect accuracy. There are many templates that you can use for shape cutting. Some routers can accommodate a range of universal templates, and this will give you the greatest versatility. It’s also nice to use a router that isn’t too complicated when using templates. A table mounted handheld router is also a nice addition. If your wood router is able to mount under a router table, you’ll be able to work with greater comfort and more detail with less concentration.